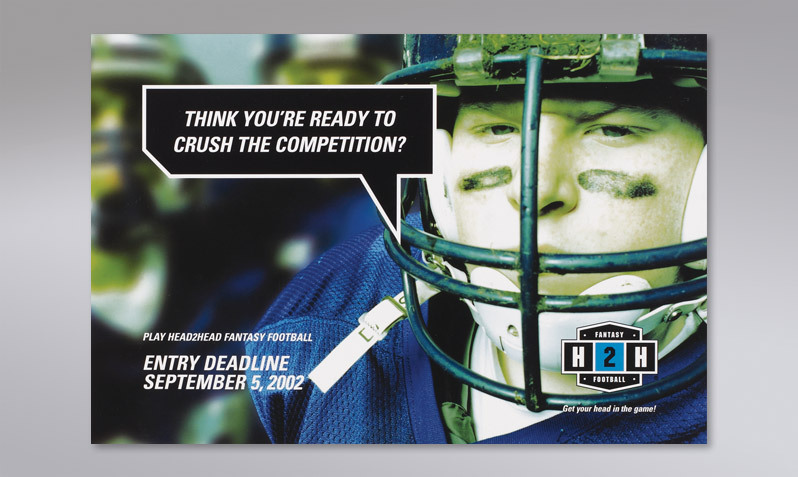 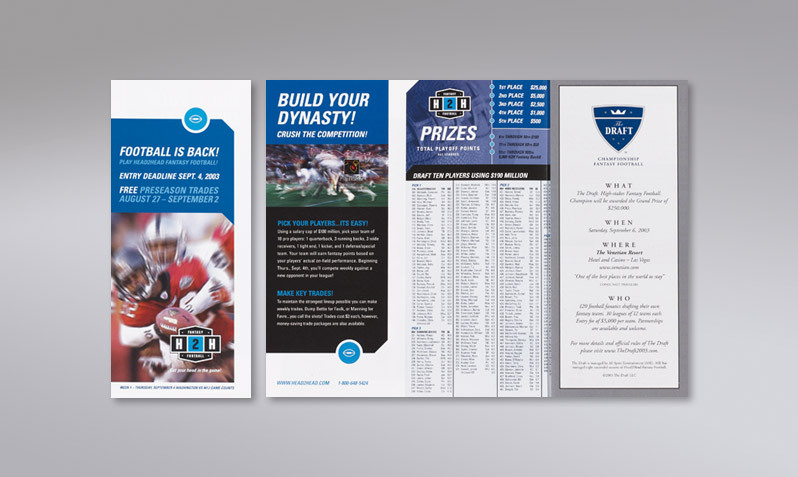 Since 1994, Head2Head Sports has been providing the most exciting fantasy sports contests in the industry. 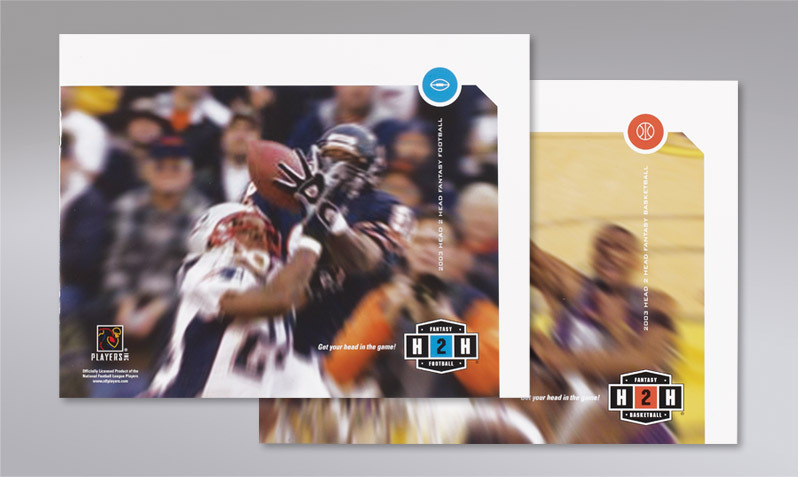 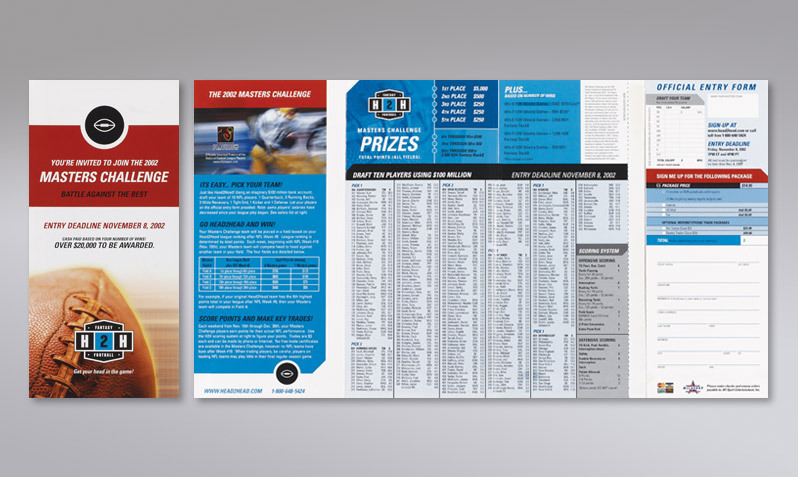 Head2Head partnered with JID in re-positioning the fantasy sport contests to have more relevance and to design a unified visual language for all the fantasy sport contests. 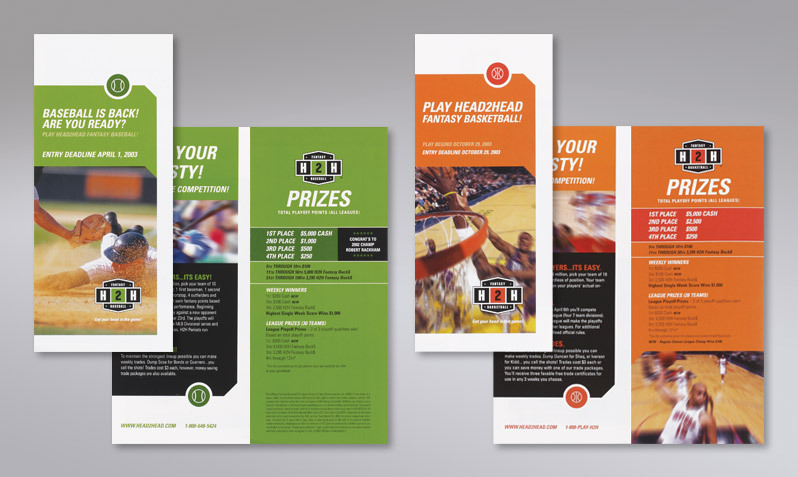 The look and feel in a comprehensive visual style was used to create a wide range of marketing and communication efforts.